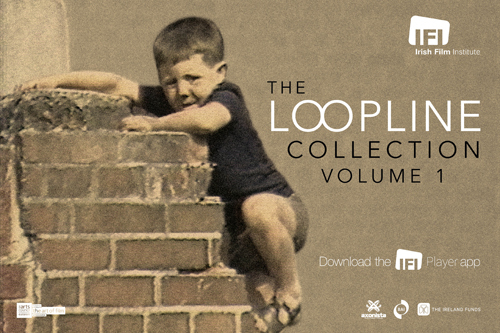 The IFI Irish Film Archive acquires, preserves and makes available Ireland’s moving image heritage. The IFI Irish Film Archive acquires, preserves and makes available Ireland’s moving image heritage, working to ensure that Ireland’s rich and varied film history, both amateur and professional, is protected and accessible for the benefit of current and future generations. Film reels, digital materials and document collections are held in custom-built, climate-controlled vaults designed for the long- term storage of archival materials. The material we safeguard is historically, socially and culturally invaluable and provides a unique visual record of the development of modern Ireland, with collections that span from 1897 to the present day. Our collections aim to reflect the many facets of indigenous moving image production and the type of material we preserve includes newsreels, feature films, home movies, travelogues, advertisements and documentaries, amongst others. The image and document collections provide further resources for those interested in Irish moving image history and the Tiernan MacBride reference Library, which is also located at the Archive, holds a broad range of books and periodicals relating to Irish and world cinema. We recognise the importance of providing access to our fascinating collections. Members of the general public, students, educators and those working in the film industry are all welcome to avail of our research facilities, where they can view our collections on site by appointment. The Irish Film Archive is located at the Irish Film Institute at 6 Eustace Street, Temple Bar. 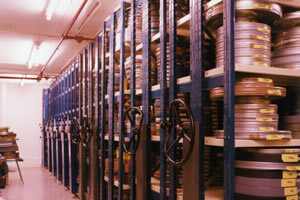 The IFI Irish Film Archive holds the collections of the BAI, IFB and The Arts Council . Production companies/ filmmakers who are in receipt of funding from one of these organisations and who are contractually required to deliver material to the IFI for archiving can find instructions HERE. The IFI is spearheading a landmark campaign to identify the nation’s moving image heritage through the first ever register of film and video collections in the state. Read more. If you wish to support the fantastic work of our archive team to digitise the Archive collection and preserve Irish film heritage, we invite you to make a donation HERE.